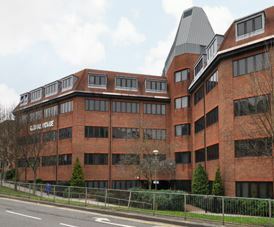 Ashley Avenue Business Centre is within a modern building that is located in the town centre of Epsom in Surrey. Conveniently, there is a multi-storey car park adjacent to the building as well as a large shopping centre. Local amenities are excellent with a range of department stores, shops, cafes, and restaurants all within easy reach. Transport is good with Epsom train station close by that has links to Guildford and London. The office space itself has a large reception with seating and meeting room facilities are within the building. With high speed internet pre-cabled in all of the units, these serviced offices have the choice of dedicated bandwidth or shared. Office rental occupancy is available in many durations and expansions are achievable within the contract period.